In the world of global aid and development, country ownership has become one of the most debated issues. But what does country ownership mean in practical terms to donors, development partners, civil society, and country governments? If the goal is to put each country into the driver’s seat, how can we get there? For nearly five years, the Ministerial Leadership Initiative for Global Health – MLI – has forged new pathways for advancing this critical development issue, working with five countries in Africa and Asia. What emerged is a distinctive MLI Model to advance country ownership. -Mobilize national government and donor support to carry out their work. What is the MLI Model? MLI has developed and implemented an approach that translates the concept of country ownership into reality. MLI has helped its five partner countries - Ethiopia, Mali, Nepal, Senegal, and Sierra Leone - make major strides toward more ownership and enhanced leadership of their health programs by providing high-quality support in response to ministry priorities. While MLI specifically focused on the areas of health financing for equity, health systems strengthening, and reproductive health, the MLI Model can be applied to any area of development practice. Country-led planning: Listen to ministry leaders, earn their trust, and work intimately with to identify their priorities with the support of jointly selected senior advisors (known in MLI as country leads). Learn about the challenges they face in implementing their strategy, identify specific objectives that advance country priorities, and move together with ministry leaders to meet definable goals. Demand-driven technical assistance: Help meet ministry leaders’ requests for technical expertise and fill those needs with the right person or team for the job – someone whom ministry officials have helped to select and supervise and can call upon in the future. South-South Exchange: Bring ministry leaders from different countries together through face-to-face and virtual exchanges so they can learn from one another, offer peer support, and address shared challenges. These opportunities foster ongoing relationships that will benefit future work. Strategic Communications: Help ministry leaders tell their stories so that people in their communities and in communities around the world can learn about their work to improve health and save lives. Additionally, facilitate meetings between ministry leaders and government and development partner representatives in donor countries to give regular updates on progress and challenges. This opportunity for broader exchange promotes ministerial leadership on a global scale and collective advocacy for country ownership. 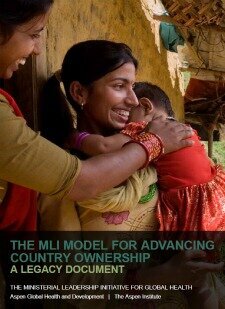 The MLI Model is an approach to advance country ownership. In order for country ownership to be achieved, though, there must be full engagement of country governments, civil society, donors, and development partners. MLI demonstrates how development partners and donors can strengthen country ownership by working with government bodies, mainly ministries of health. MLI has worked with country governments that have addressed donors’ concerns about possible corruption by working to install transparent fiscal systems to monitor the spending of all funds. Further, MLI has helped ministries lead effective consultative processes, bringing in the perspectives of both donors and civil society stakeholders and has shown how governments and donors can work together to monitor and evaluate shared goals. What made the MLI Model successful and distinctive? MLI never intended to be a primary implementer; its goal was always to help ministries of health clarify their country’s priorities and leverage additional resources for them to implement and realize their objectives. By working effectively in partnership with ministries of health, MLI was a catalyst to advance a number of health policy and systems reforms in its five focus countries and framed the country ownership agenda for strategic global audiences. Because MLI was a small program not tied to bilateral funding, it was able to be nimble and flexible in adapting to ongoing changes in context and needs. This focus on country priorities, support for ministry leadership, and ability to adapt all contributed over time to developing a solid foundation of trust in relationships - something not easy to do in a context where development remains a business and trust is a luxury. 1. Government leaders, including ministers and their senior teams, must be clear about their priorities. - Government leaders need to clarify and articulate their priorities consistently and cohesively. Donors and development partners can provide the needed support to government leaders to help facilitate that process. - With a clear plan to move forward, specific capacity gaps and tailored assistance to advance country priorities should be identified and updated as ministry needs evolve. - Technical support should only be provided if it helps strengthen the government’s capacity to lead and improve program performance on their determined objectives. 2. Development partners must be flexible, willing to listen and follow the priorities defined by country leaders, while ensuring mutual accountability. - Through demand-driven technical assistance, senior ministry leaders can build skills to lead more effectively and become stronger advocates for the people of their countries. - Ministries can manage and monitor their technical support budgets and workplans with guidance from donors. - Development partners must support countries as they work to build their own capacity to develop and implement effective public policies. Projects may be smaller initially, but the experience will contribute to greater country ownership. - Working together, country leaders and development partners must confront challenges and make adjustments in plans as needed. 3. Countries must be given greater opportunities to learn from each other, developing ongoing relationships between leaders. - In leader-to-leader exchanges, opportunities should be created for country leaders to learn from and support each other. 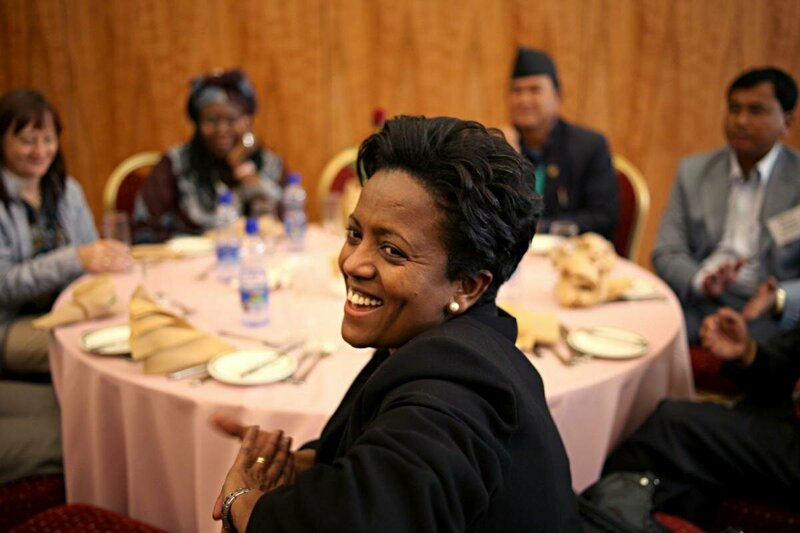 - Ministry leaders must be given greater opportunities to tell the story of their successes and challenges in improving the health of their populations to their own communities, as well as to donors and development partners. In Ethiopia, the Federal Ministry of Health (FMoH) approached several donors to secure support for a new strategic planning and management system called Balanced Scorecard (BSC), but donors were not responsive. When the Minister of Health, Tedros Adhanom Ghebreyesus, told MLI that BSC was his priority, MLI listened and was able to negotiate funding to support the launch of the work. The BSC tool, which has been implemented in the FMoH, one of its national directorates, and one specialized hospital under this directorate, allows participants to understand how their performance contributes to the achievement of the strategic objectives of the Ministry; it helps align the Ministry’s vision with the work people do on a daily basis. BSC has been so well received that the government of Ethiopia now plans to use this model throughout the entire government and has leveraged additional funding from the Bill & Melinda Gates Foundation to ensure this is possible. In Mali, an effort to make health services more accessible to the informal and agricultural sectors in the country through a community-based health insurance program had sputtered for nearly two decades. Only three percent of the 14.5 million population was being served. However, during an intensive period, MLI, in coordination with other partners, provided demand-driven technical assistance to the Ministry of Health and the Ministry of Social Development. This included an MLI sponsored study tour to Rwanda to learn about their impressive health insurance scheme, which proved to be a critical turning point for Mali’s program, known as mutuelles de santé. In early 2011 the national strategy for the expansion of mutuelles, which includes a government commitment of 50% co-financing, was officially adopted. The strategy contains an explicit focus on prevention services including reproductive health and family planning. Now, the government’s target is to provide health services through mutuelles to eight percent of the population in the three pilot regions by 2015, extending insurance to 1.2 million people currently uninsured before scaling up nationwide. In Nepal, the Ministry of Health and Population asked for assistance to improve a range of ministry systems and capacities. First, they wanted to learn to become better negotiators with donors and within government. As a result of intense negotiation training supported by MLI, Ministry leaders described better outcomes in defining their priorities and negotiating contracts, including one with a union representing Ministry workers. Ministry leaders had also long sought to create an effective centralized information system accessible to policy makers, donors and civil society. Their goal was both to promote learning and create more informed dialogue to build national consensus on health sector policy options for scaling up services. With support from MLI and through a peer exchange opportunity with a similar project being implemented in Nigeria, the Ministry was able to launch its new digital library. The new system is in place and includes a catalogue of over 3,000 documents available in both English and Nepali. It has opened a window into the policies and programs of the Ministry for development partners and civil society. It is now much easier for health policy information and relevant research to be shared throughout the Ministry and among development partners so that they can make more informed decisions and target efforts and resources toward areas of greatest need. After joining Mali on an MLI-sponsored study tour to Rwanda and being inspired by Rwanda’s successful performance based financing (PBF) system, Senegalese leaders returned to their country determined to adapt the Rwanda model to their specific needs. A technical committee was quickly put in place at the Ministry of Health, Public Hygiene and Prevention in charge of developing the national PBF strategy and subsequent pilot program. Impressed by Senegal’s leadership and determination, donors quickly mobilized technical assistance to support the Ministry in this process. Now, the Ministry is currently piloting their country-led PBF strategy in three districts of Senegal and donors have pledged to finance more than 80 percent of the two-year pilot project and to put local and international support at the group’s disposal. Recognizing that ministry leaders are an untapped resource to serve as catalysts and champions to advance health policy, MLI also worked with leaders in the Reproductive Health (RH) Division in the Ministry to create an “Advocacy Inside Ministries” model for reproductive health. The RH Division is now better positioned to develop and disseminate relevant, timely, and targeted advocacy messages and information to the appropriate audiences and is emerging as the leader of these efforts, with partners supporting its overall agenda. As a result, during the 2011 International Conference on Family Planning, President Wade of Senegal announced that not only will the RH Division be elevated to a Directorate within the Ministry in 2012, but additional government funding will be provided for the procurement of contraceptive commodities. In Sierra Leone, the Ministry of Health and Sanitation had two major requests. One was for a financial audit to account for and report on all government and donor health expenditures. This was completed and paved the way for a structured process to increase aid effectiveness with a higher degree of trust and accountability between the government and development partners. The second was to help Ministry officials, as well as other senior leaders in the government, tell the story of the improvements in the country’s health system, including the introduction in 2010 of a free health care initiative for pregnant women, lactating mothers, and children under five. MLI has helped government leaders step onto a world stage to make their case to donors. With MLI support and training, Sierra Leone's leaders reached multiple outlets around the world including The New York Times, BBC, and the Guardian to tell the story of the dramatic health progress and continuing challenges facing Sierra Leone.